The Washington Wizards were supposed to be a serious contender in the Eastern Conference by now. 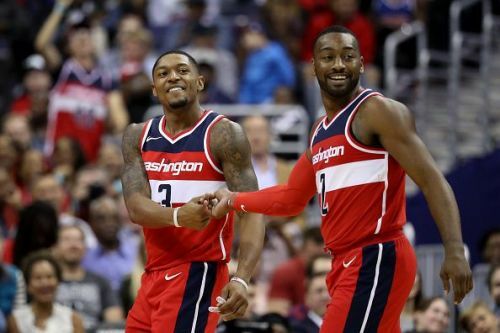 They have one of the best two-way point guards in the league in John Wall, who completes a lethal backcourt duo with Bradley Beal, versatile wings in Otto Porter and Kelly Oubre Jr. and a former NBA finalist coach, Scott Brooks. But much like other teams in the past, they failed to stay resilient in the face of adversity. Instead of taking advantage of the momentum of their 2016-17 NBA season, in which they finished one win away from the Eastern Conference Finals, Washington fell in the rankings and lost in the first round of the playoffs, re-opening old wounds. Team chemistry suffered a big blow during Wall's 2-month-long injury; starting center, Marcin Gortat, implied that the team moves the ball better without him and Beal, whose relationship with Wall was fractured, to begin with, backed that claim. Coming into this season, Gortat is no longer there, but the tension is still high in DC. Every significant figure on the team has something to prove this year, Coach Brooks and GM Ernie Grunfeld included. The first action of the offseason for Wizards GM, Ernie Grunfeld, was trading Marcin Gortat for the Clippers' Austin Rivers. It is supposed to kill two birds with one stone: eliminate the adversity factor in the team's roster and strengthen their mediocre bench. Rivers is coming off his best year so far and has a lot to contribute to the Wizards. Following that, they had to bring along a new center. 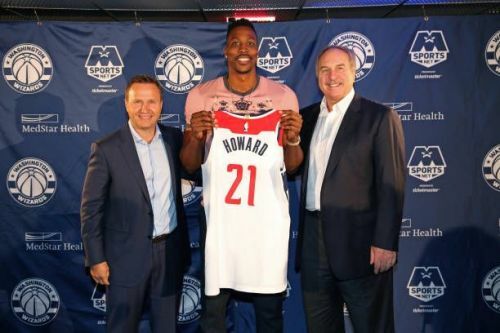 After being traded by the Hornets and bought out by the Nets, Dwight Howard, once the NBA's best big-man, joined Washington on a two-year deal. It will be his fourth team in four years, but he is also coming off a very good season. Other key additions to the team are the 15th overall pick in the 2018 NBA Draft, Troy Brown Jr., veteran forward Jeff Green, and versatile big man Thomas Bryant, who was claimed off waivers from the Lakers. Bryant will have to fill the void left by Mike Scott, who played the center in small-ball lineups for Washington and left this summer for the Clippers.